The Constantia Valley, which sprawls prettily up and down the slopes of Table Mountain, is the historical hub of the South African wine industry. And at just 18 km from the city centre it is the closest wine experience for visitors to Cape Town. 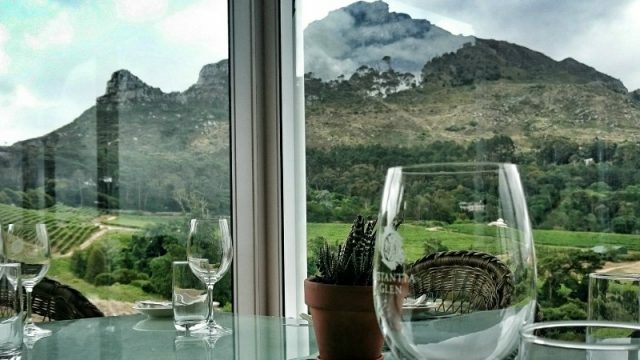 For wine quaffers this area should be at the top of the list of places to go — but Constantia has a lot more than wine, so don’t discount it if you prefer beer, burgers and outdoor action. Constantia has plenty to offer with or without the wine, so eat, drink, stay and play in this friendly valley. Constantia has nine wine estates which are open to the public, spread over 15 km. The architecture ranges from classic Cape Dutch to ultra-modern glass and rock, all affording green views of endless vines, and from the higher slopes, a glimpse of the ocean and the hint of the sea breezes that play an important role in the growth of the grapes. Apart from excellent wine, offer many more reasons to visit and explore. 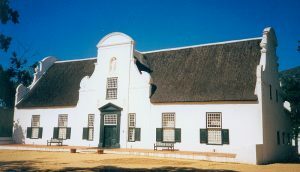 Groot Constantia: This is a good place to begin, as it is the historical centre of the area. The orientation centre and the Iziko Museum lay the foundation for understanding the area and how it developed. Look out for the old bath and the 300-year-old hollow tree, refuel at one of the two superb restaurants, Jonkershuis or Simons Deli, then take in some art, explore the Cloete cellar, and of course sample some wine. Steenberg: This estate boasts an 18-hole golf course consistently ranked in South Africa’s top 100. If you don’t have time for a full round of golf then have some fun at the driving range, or book a coaching session with one of the pros. For non-golfers, I must tell you that whacking golf balls is a lot more fun than you think — and rather addictive too. Wine tasting is offered, and two restaurants complement the five-star Steenberg Hotel: Catharina’s for a first rate experience, or Bistro 16 for a more casual light meal or tapas. Beau Constantia: Visit the wine and sushi bar set high up on the slopes of Table Mountain and affording views all the way to the sea. The modern glass structure known by the locals as “the fish bowl” is not to be missed. The tasting room is adjacent to the fish bowl and the views from there might distract you from the wines. Eagles Nest: The tasting room is open, light and leads out onto a delightful outdoor area complete with shady trees and a clear watered stream. The tasting usually includes the family dog running off with the sommeliers shoe as she pours the first glass of white. The tasting of the reds is done high up on the slopes of Table Mountain after a scenic 4 x 4 drive. For those who do not want to sample the wine, go for the views. Photographers take note: the panoramic shots from up here are incredible. You might even get lucky and spot a verraux eagle; this estate is very involved in the protection of these rare birds and can tell you all about their project if you are interested. Buitenverwachting: Don’t be surprised if you arrive at this wine estate and are assailed by the tantalising aroma of coffee. Situated in a tiny building on the square is Quaffee, where they roast beans and make magic. Pop in for a deeper sniff and a chat, because these people know their coffee, have all the gear and the best machines, and they can talk coffee all day. It’s a coffee connoisseur’s heaven. Their coffee can be enjoyed a few steps away at the Coffee BloC along with breakfast, light lunches or decadent cakes. This estate has a cozy, intimate feel to it, with the tasting room, cellar, bistro and shop all bordering a small central green that is dominated by a giant tree. It is ideal for lazing on the grass and relaxing with friends. Constantia Uitsig: The Chris Nixon Bike Park on this estate caters to all skill levels. For just R50 (US$3) per day you can cycle up and down ramps, practice tricks or just have fun. After all that cycling try the new Open Door restaurant, or The Wine Shop for wine (obviously) and deli snacks. Klein Constantia: As one of the oldest and most historical farms in the area, you really should do a wine tasting here. They have revived the Vin De Constance, a sweet desert wine favoured by the nobles back in the day, and they are serious about farming in a manner that supports biodiversity and conserves these historic vineyards. Constantia Glen: Visit for the wines, the views, the cheese and the chocolate. Take some tea: Treat yourself to high tea at the Cellars-Hohenort Hotel. Dine in style at the Greenhouse or the more casual Conservatory restaurant, both overseen by top chef, Peter Templehoff, or walk through the magnificent gardens before enjoying cocktails at the Martini Bar. You will be transported back to more gracious times, without losing the benefits of our modern world. Garden walks are well worth the effort, and for garden enthusiasts guided walks can be arranged at the hotel. For adventure with a difference, this hotel teams up with Escape and Explore to offer private adventures tailored to suit families or groups, activities include SUP, Lion’s Head hike, penguins and urban art exploration. 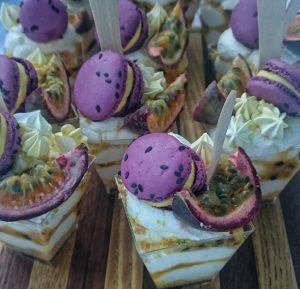 The Alphen Hotel also offers a fabulous high tea, complete with splendid desserts from La Belle Bistro & Bakery. Take the kids: Kids — and adults who want to feel like children again — can laugh, stretch, balance and navigate their way through the trees with Acrobranch. Very creative obstacles and props are how you traverse from one tree platform to the next. Loads of fun and a full body workout, you will want to finish off with a meal and something ice cold from the restaurant. Safety is a top priority and you are harnessed and clipped to a safety line at all times. Dare to let go and release your inner child. Take the bus: The purple route offered by City Sightseeing is an easy way to get an introduction to Constantia, especially if you are based in or around the city centre. This open-top, hop on-hop off, bright red fun bus will take you to three wine estates. Just enough to get you hooked on the natural beauty of this gorgeous valley. Explore on foot: There are numerous walks and hikes in Constantia. 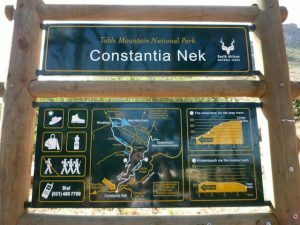 The trail from Constantia Nek to Kirstenbosch National Botanical Gardens is very popular or for something more sedate get in touch with Constantia Valley tourism for more information. Highly recommended is the Table Mountain map by Peter Slingsby. Not only is it a work of art, it is highly accurate and regularly updated. The walks and paths perfectly depicted on this map will have you hiking for months. Visit a market: The Antiques and Collectibles market is held every 2nd and 4th Sunday. Browse back in time or find that one item you have been searching for. Earth Fair Market is held every Wednesday and Saturday and features delicious local produce. Di is a cartographer by trade and co-owner of Jabedi Mapping. Travel writing, map making & tourism are her thing. A resident of Cape Town, Di loves to write, and rave about South Africa, Africa and travel.